Native content supported by Snagov Club. Google’s famous technology which allows internet users to check remote locations from anywhere in the world through panoramic views, including famous landmarks, also helps travellers have a sneak peek of their desired accommodation in Romania before booking it. Thanks to the Google Street View technology and 360 degrees pictures, plus local hotels which invested in offering their prospective guests a preview, it is possible to check anything in the hotel, as you’d do on a visit there: the entrance, the reception, halls, rooms including bathrooms, amenities, spas, restaurants. 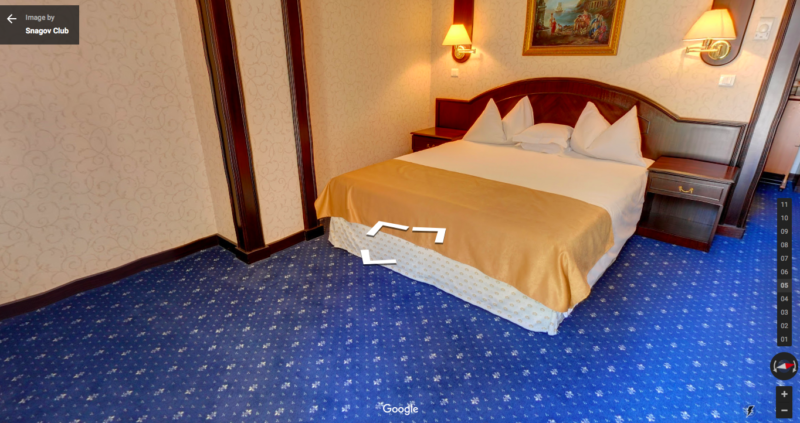 How to find out if your targeted hotel is offering panoramic images: go to Google Maps and type your hotel name in the search box. For those which implemented the Street View feature, you should be able to drag the yellow icon in the bottom right corner to the desired location, and voila! You're in the hotel. 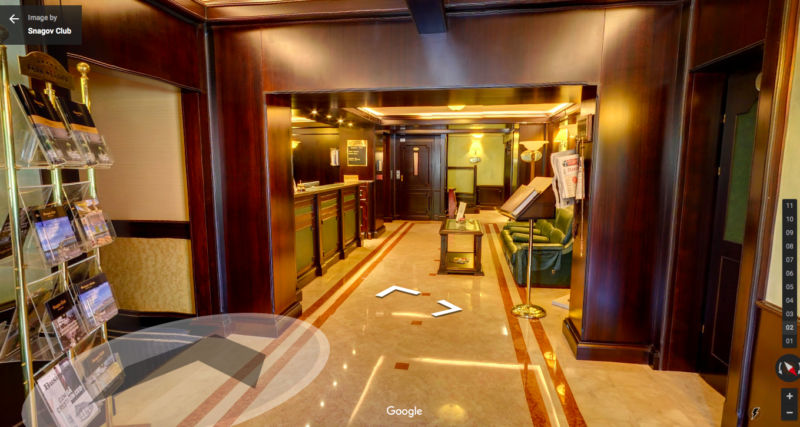 Five-star hotel Snagov Club, near Bucharest, was among the first to implement Google Street View on its property. 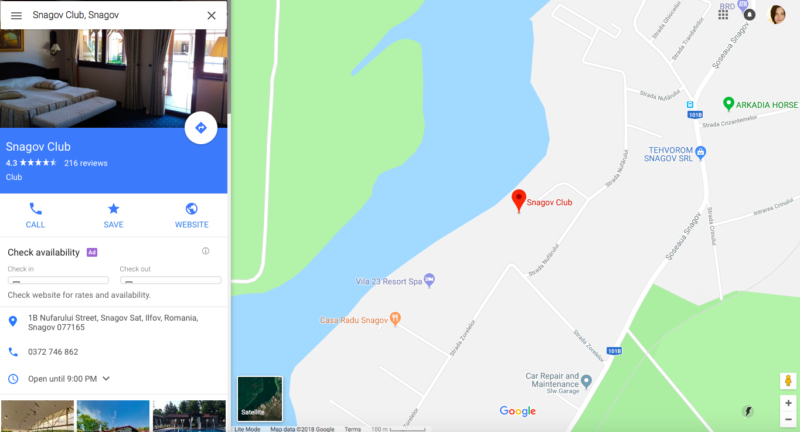 In the Google Map site or application, search SnagovClub. Together with reading information about the hotel, booking options and guest reviews, you can drag the yellow icon to the map, to load the street view and 360-degree images of the hotel. It’s possible to check both the inside of the hotel, including the rooms and bathrooms, as well as the spa and indoor pool, and the outside yard, together with the outdoor pool. Hotels in Romania have started to take on new technologies to support their guests before and after their trip. While the street view option helps before booking, a free mobile phone service is helpful during the trip. Snagov Club is one of the five-star hotels in Bucharest to have implemented it: they offer a free mobile phone and a local mobile number to use inside and outside the hotel, including on their business trips and meetings in Bucharest. “Hotel guests already love this service, so it showed us we have moved in the right direction,” said Marius Sucala, general manager of the hotel.